Jordan Eberle, Edmonton's young star on the rise, worked overtime to get his picture-perfect moment at the recent All-Star Game in Ottawa. He was certainly a fitting choice to play alongside some of the top talent in NHL circles, a second-year forward showing no signs of suffering the dreaded sophomore jinx. For Eberle, who has already eclipsed his fine first year numbers from 2010-11, the chance to rub elbows and talk shop with some of his fellow NHLPA members was at the top of his ‘to do' list. 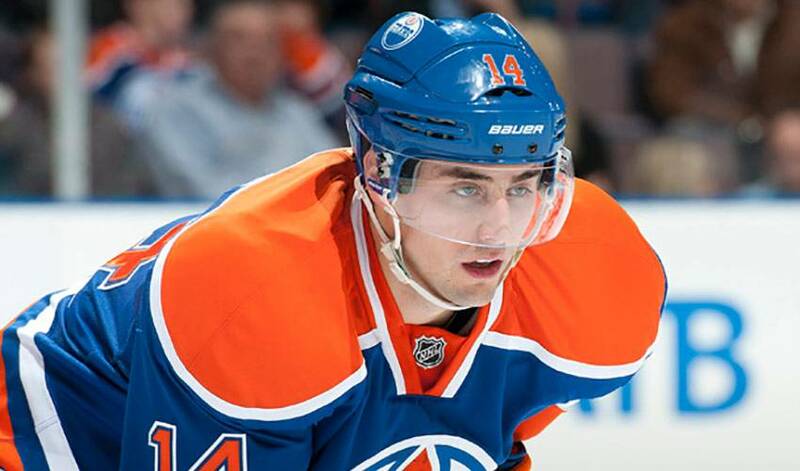 A player Eberle marvels at. “I'll tell you this…it's not enjoyable at all to play against him,” said the 21-year-old, of Detroit's heralded two-way talent. “He always seems to be on the right side of the puck and doesn't seem to make mistakes. Trying to defend against him is about as tough as it gets. I really wanted to meet him and get a picture taken with him. Eberle, well-known in his own right for his success with Team Canada (he won gold and silver at the World Juniors in 2009 and 2010, respectively), worked hard to make it a reality. Eberle, averaging more than a point per game in 2011-12, saw first-hand just how focused Datsyuk before he takes his first shift. The All-Star experience was also a nice change of pace from the rigors of an 82-game schedule. Eberle's hoping to keep up his production level as the Oilers, who find themselves outside of the playoff picture, look to be strong in the second half. “We just really need to get some wins,” he said. “We went through a tough stretch, but we've been playing really well the last little while. We just have to look at things from a game-to-game standpoint. He'll also hope to build off his All-Star experience and conversation with one of the sport's elite players.